Auto insurance fraud can occur in many ways. From staged auto accidents to falsified insurance costs, car owners are constantly at risk of auto insurance fraud. While insurance fraud does not always end in disaster, it can severely impact car owners’ insurance premiums and peace of mind. Still, insurance fraud happens daily and incurs billions of dollars nationwide, and car owners are unfamiliar with the common signs of auto insurance fraud and have insufficient knowledge of how to avoid it. To help car owners prevent auto insurance fraud and limit its impact, the experts at Car-Registration.org have made a list of three tips for avoiding auto insurance fraud. #1 Ask for copies of your auto insurance policy – Auto insurance companies must give you copies of your auto insurance policy after purchasing coverage. This document details your coverage plan (i.e. what the insurance will pay) and its restrictions under the provider’s insurance policy. Keeping track of this information ensures you are paying for the correct auto insurance plan and assists in monitoring your insurance costs. According to the team at Car-Registration.org, maintaining your own records of payments and claims can also help when your insurance costs are brought into question by the insurance provider or an outside party. 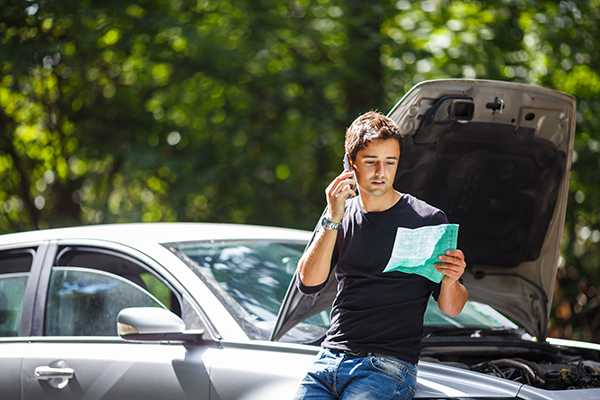 If any information on insurance coverage changes unexpectedly, with coverage documents in hand, you can more easily ask your auto insurance provider for clarifications and reduce the possibility of faulty coverage or falsified insurance costs. #2 Compare auto insurance plans – To avoid falling victim to overpriced auto insurance plans, the team at Car-Registration.org recommends comparing auto insurance plans with one another. Considering the price, benefits and services offered by each auto insurance policy allows you to make an informed decision. While one policy may offer generous discounts, another policy may present better coverage. The team at Car-Registration.org suggests finding a policy that best satisfies all your financial and vehicular needs. Finally, be sure to correspond directly with certified insurance providers. Some insurance scams sound convincing and can pressure car owners into purchasing counterfeit auto insurance policies that offer little to no coverage. Spend a considerable amount of time weighing options before choosing an auto insurance provider to avoid overspending on your auto insurance or buying a fraudulent policy. #3 Manage auto accidents properly – One of the most common ways car owners fall victim to auto insurance fraud is through staged auto accidents. Staged auto accidents happen when drivers intentionally cause a collision to seek compensation from the victim’s auto insurance company. If you suspect a staged accident has taken place, contact your insurance provider immediately. The team at Car-Registration.org recommends examining and documenting the degree of damage your vehicle has sustained after the accident. Also, it’s recommended you obtain a copy of a repair cost estimate. Such written documentation will decrease the likelihood of inflated auto insurance costs harming you.